Lets face it, my eyes wouldn’t be complete without a set of lashes. I have tried so many over the years and I’d like to think of myself as a bit of a whiz kid when it comes to fluttering my peepers. 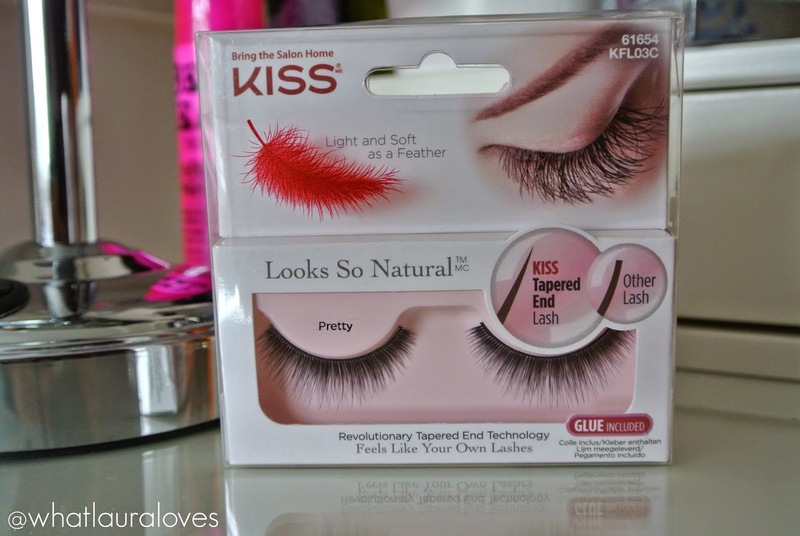 The latest lashes I’ve been trying out are by Kiss and they’re from their brand new ‘Looks So Natural’ range which are exclusive to Boots in the UK. I have two sets, the first being ‘Vamp’ and the Second ‘Pretty’. Vamp are a very subtle, your lashes but better set of lashes. 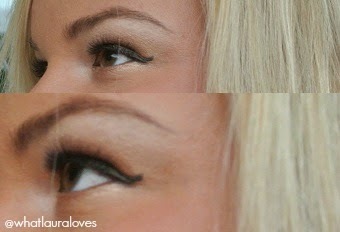 They enable you to accentuate your own lashes without giving you an obvious false eyelash look. They have a fanned out, slightly wispy appearance and they come on a clear band which is very flexible. They are so easy to apply and feel as light as a feather. I actually forgot I was wearing these as they look undetectable on the eyes and they feel SO light, just like my own natural lashes. 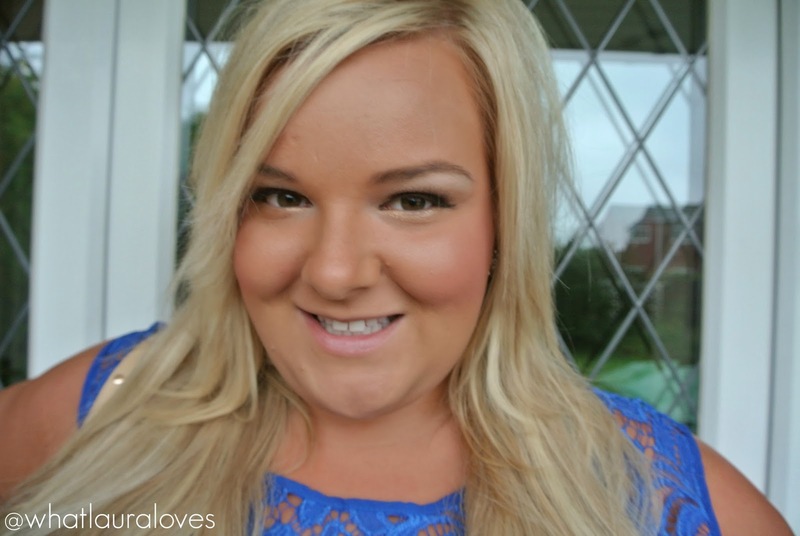 My favourite thing about this set of lashes is how seamlessly they blend with my own lashes. I’m wearing the Vamp lashes in the above photo and as you can see, they’re very subtle, a little too subtle for the kind of lash look that I usually go for but very pretty all the same. I think they would look particularly good on girls who wear quite minimal make up, or even those who don’t like to wear make up at all, perhaps on holiday as they look so natural. The Pretty lashes are a more dramatic set in comparison to the Vamp lashes but they’re still incredibly natural looking. They feature the new tapered end lash technology which is created using a unique stone grind manufacturing method to make the lashes tapered towards the end, rather than blunt like other lashes, to give them a more natural, fluttery, light weight look. 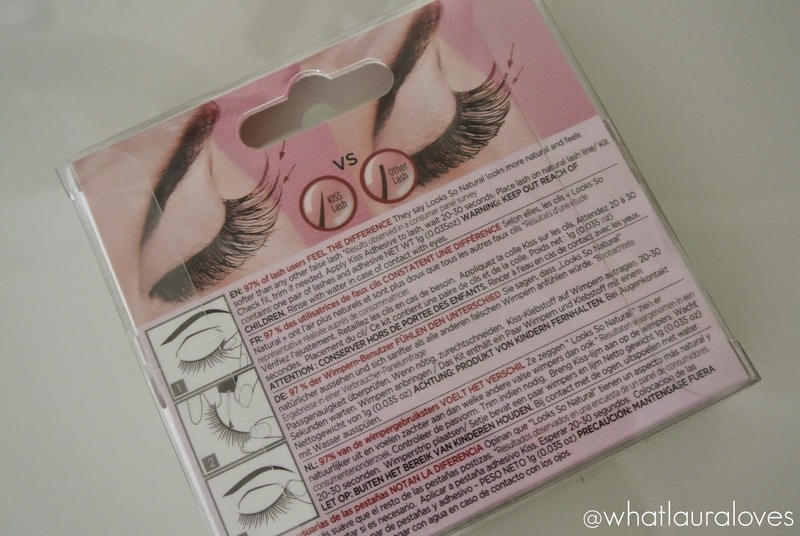 The Vamp lashes have this technology too but I think that it is much more apparent in the Pretty lashes because they’re thicker and more dense overall. The strip of both the Vamp and the Pretty lashes isn’t overly wide like some lashes I’ve tried so I found that I didn’t have to trim away too much to fit the shape of my eyes. This is a really good thing for me as some lashes that are shaped more like these look a little silly if I have to cut too much off them as when they’re on my eyes they end up looking really severe whereas these Kiss lashes don’t; they’re very natural and the graduation from the shorter to longer lashes flows really well. 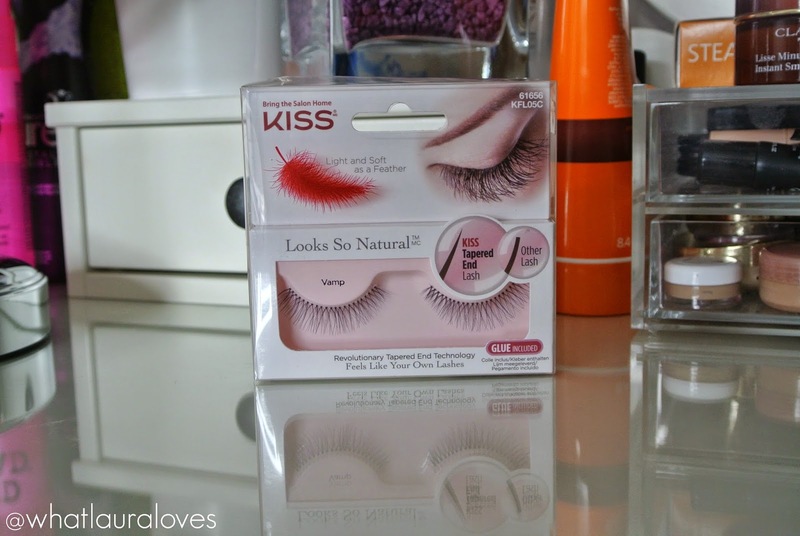 In the photos above and below, I am wearing the Kiss Looks So Natural Lashes in Pretty. They come on a much thicker band than the Vamp lashes which are on a clear band however they are still very easy to work with and apply. A lot of lashes with a black plastic band rather than a clear band, aren’t very easy to bend and manipulate to fit your eye shape because they’re too hard whereas these are really flexible and are as easy to apply as the ones with the clear band. I also find that the Pretty lashes hold their shape really well so I have been able to reuse them many, many times. The Pretty lashes are a lot more noticeable than the Vamp lashes and they look gorgeously full whilst still remaining natural. These are the lashes that are more suited to how I wear my make up and I like to wear these during the day when I am filming for my YouTube channel or going out with friends for lunch. There are six different variations of the Kiss So Natural Lashes and they’re all available from Boots for £4.49 each in the UK and here in the USA.